Ruffin&apos; Around Resort & Day Spa began in 2005 as the area&apos;s first doggie daycare facility. Since then, Ruffin&apos; Around has added training, in home pet sitting, spa services, and specialty pet products to its list of amenities. Overnight stays became available in 2017, making Ruffin&apos; Around the ultimate pet resort. In the ten years prior to starting Ruffin&apos; Around, the owner, Lori Coffman, gained hands on animal care and training experience while employed at The Pittsburgh Zoo, SeaWorld of Ohio, and Clover Farm Veterinary Service. Our entire staff is dedicated to the highest quality of care for every guest at our resort. 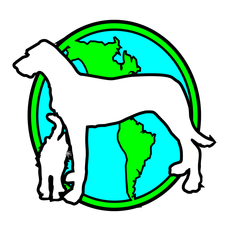 In addition to being trained in pet first aid & CPR, employees participate in extensive training and continuing education courses offered by the pet care industry. ​Ruffin&apos; Around Resort & Day Spa&apos;s mission is to be the #1 vacation destination for dogs and cats alike. "Shed" your former concept of boarding. Come, stay, play, or vacay with Ruffin&apos; Around to experience the new trend in pet care!